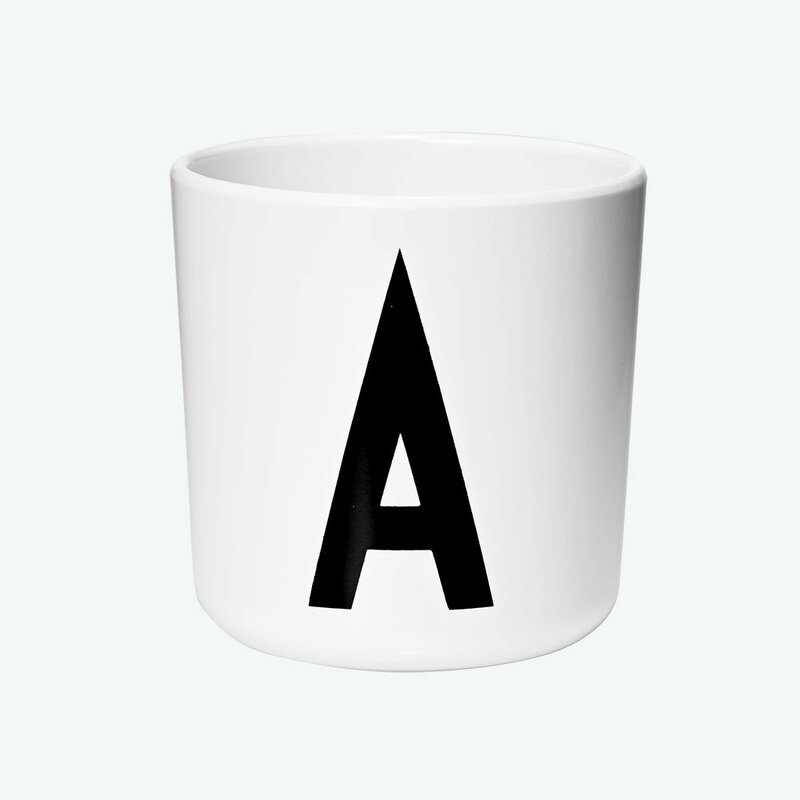 Personal melamine cup featuring 'AJ Vintage ABC' typography designed by Arne Jacobsen in 1937. 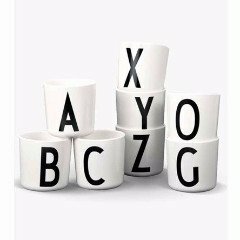 Available in A-Z. Add the detachable drink lid for the youngest. Dimensions: 7x7,3 cm.